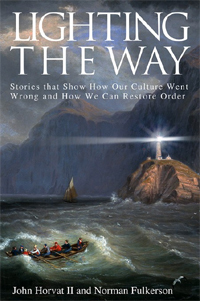 The new book Lighting the Way: Stories that Show How Our Culture Went Wrong and How We Can Restore Order is a collection of stories arranged to illustrate an idea. The idea is that of the organic Christian society. That is an unfamiliar idea to many, although we live in and around many such organic communities or situations. Co-authors John Horvat and Norman Fulkerson are very familiar with the topic. Mr. Horvat is the author of the award-winning book, Return to Order, and Lighting the Way is intended to be its companion book. Mr. Fulkerson is the author of An American Knight: The Life of Colonel John W. Ripley, USMC. Both men have extensively studied and written about the present deterioration of Western culture. 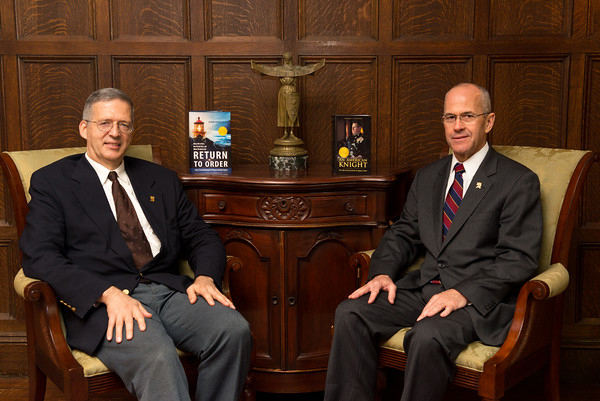 Both are members of the American Society for the Defense of Tradition, Family, and Property, which is the publisher of the book. The idea of organic communities is unfamiliar because modern life has conditioned us to think in terms of large institutions and the bureaucracies that come along with them. We are surrounded by governments on the national, state, and local levels. In addition, there are partially independent government agencies like school boards and road commissions. All of those can be impersonal and inaccessible. There are also large corporations that dwarf us. We shop at stores whose owners we will never see. Since the rise of the Internet, we do not even know where those businesses are located. We buy products and often do not even know in which country they are produced. When we have a problem and call customer service, we are often connected to a call center in Asia. In this environment of “bigness,” we know that we long for something else—something deeper and more personal. Consciously or unconsciously we seek them out. We might have a favorite waiter, cashier or teller. Many gravitate to farmers’ markets, flea markets, and other settings for that personal touch. Unfortunately, those relationships are often short-lived. The waiter or cashier gets a better job somewhere else and they disappear from our lives without any notice. The booth at the market closes or moves away. The companion book, Lighting the Way attempts to show us that we have seen or experienced aspects of organic society throughout our lives. The book is divided into five parts, each with its own theme—although there is a fair amount of overlap between them. The first section borrows another idea from Return to Order, that of frenetic intemperance. This is the all-too-common desire to have everything that we want instantly and effortlessly. Our society conditions each of us to consume products at an ever increasing rate. We want to do more, have more, know more, experience more, to make our own rules. In real life, we rapidly find that we are limited by the amount of time in our day, expense and responsibilities. We also find out that we want many things that are not good for us—either on a moral or physical plain. Part one shows us why those restraints are often helpful and that ignoring them can be disastrous. The most helpful and readable section may be the second. Here we can see how others have embraced or created organic structures. Most of these are very practical. Mr. Fulkerson introduces us to cheesemakers, curers of hams, distillers of bourbon, bakers of cakes, and restauranteurs who have carved out for themselves niches in the economy in which their skills have made them prized members of their communities. In so doing they have improved the quality of the lives of others and created financial security for themselves. The “lesson” is that each of us has a particular set of God-given strengths that help us to find our place in life. Co-authors John Horvat and Norman Fulkerson. Mr. Horvat is the author of the award-winning book, Return to Order, and Lighting the Way is intended to be its companion book. Mr. Fulkerson is the author of An American Knight: The Life of Colonel John W. Ripley, USMC. In the third section, we learn how fairness, justice, and service sustains organic societies. These situations have an incredible range. We see stories of a king and a family of financiers. We also see a “good” computer hacker and a dedicated owner of a shoe repair shop. The context may be national and international. It also may be very, very local. However, that is less important than the idea that a sense of justice should permeate all that we do. Section four discusses “representative characters,” those leaders that can be found in every walk of life. These people make the best of their own world and come to be recognized by their peers and others as the best of what they are. There is a happy and knowledgeable taxi driver. At the other extreme is a eulogy for a departed king. Many of these stories are about soldiers who, like the subject of Mr. Fulkerson’s American Knight, leave us speechless when they show their leadership through sacrifice. The last part is about dreams and aspirations—the good that happens when individuals commit themselves to a passion that enriches the lives of others. Among these stories, two stand out. Samuel DuPont of the vast Longwood Gardens and Helen Widdowson of The Black Rose of Hanover, a tearoom in a Pennsylvania town, have both done the same thing, albeit on very different scales. Each found a goal that guided them to create a place in which others can find beauty and refreshment for their souls. Even though they are companions, Return to Order and Lighting the Way are connected by their ideas and messages. They are, however, very different books. One is theoretic, and the other is practical. Depending on the reader’s frame of mind, either could be read independently of the other. However, much is to be gained by reading them both. Which one should be read first depends on your inclination. Those who prize the concrete application can read Lighting the Way first and then turn to Return to Order with a sense that the ideal world discussed in the second book is possible. Those who enjoy playing with ideas would probably prefer Return to Order and then use Lighting the Way as a kind of list of suggestions or an aide to explaining the ideas to others. The important thing is that both of these books mark out a path in the hectic world in which we can all-too-easily come to see ourselves as cogs in a great machine that is spinning out of control. One often hears people yearn for a simpler, more virtuous life. Applying the ideas in both of these books can help get you there. 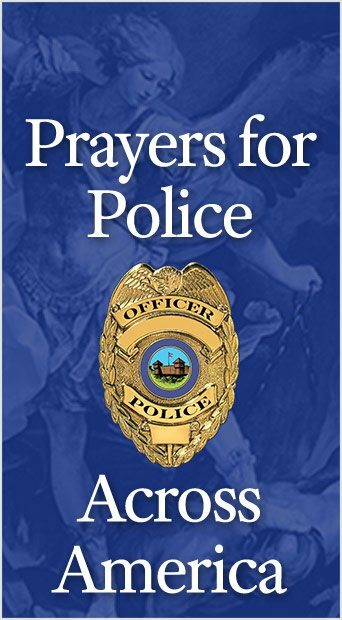 This entry was posted in Return to Order, TFP Recommends Books and tagged America, book, Christian, community, culture, essays, examples, fairness, Family, justice, leadership, life, Lighting the Way, Order, Organic society, representative characters, Return to Order, sacrifice, service, society, stories by Edwin Benson. Bookmark the permalink.